The controversial HidroAysén hydroelectric project, proposed for southern Chile’s Patagonia, has been stalled by the government to the delight of environmentalists. But questions over the country’s future energy supply remain. #ChaoHidroAysén. For at least a week before the Chilean government’s final decision, on 10 June, to throw out the controversial HidroAysén hydroelectric project, environmentalists and other opponents of the proposed dams were so confident in their impending success that this hashtag (‘chao’ meaning ‘bye!’ or ‘see ya later!’), and the sense of what was about to happen, had become omnipresent across social and traditional media in Chile. After nine years of bitter wrangling and heated debate on the merits and potential downsides of the scheme, the government of President Michelle Bachelet appears to have finally laid the issue to rest, in what is already being hailed as one of the most spectacular examples of citizen activism and environmental campaigning being able to exert pressure on an elected government and convince it to drop what had always been seen as an unpopular, though perhaps vital, energy project. HidroAysén, a US$8bn joint venture between the Chilean arm of the Spanish-Italian utilities giant Endesa and the Chilean firm Colbún, was first set in motion in 2005. The project announced definitive plans to install five dams in the Baker and Pascua rivers, two of the wildest and most voluminous rivers in the southern region of Aysén, hidden deep in the heart of Patagonia. The dams would generate 2.75GW at peak capacity, or close to 18,000GWh per year, thus providing well over a tenth of Chile’s current energy needs. This would be a significant boost for a country which, some experts believe, will need to double or even treble its energy capacity over the next decade or so, in response to surging consumption from its growing urban middle classes and crucial mining industries. Furthermore, the energy provided would be ‘clean’ and ‘renewable’, lessening Chile’s dependency on imported fossil fuels for its power: fossil fuels make up more than 60% of the country’s energy mix, and 97% of these have to be imported. Mining, in particular copper, is a major industry in Chile and is fuelling the increase in demand for energy. Photo courtesy of Pablo Necochea via Flickr. However, the project was opposed by substantial sectors of both local and national society from the start, mainly due to the alarming potential hazards that the dams would pose in the environmental and social spheres. Chilean Patagonia is renowned for its outstanding natural beauty, with hundreds of miles of untouched landscapes of wild rivers, dense forests, and Andean peaks whose glaciers flow right down into the fjords lining the southern stretches of Chile’s Pacific coast. Yet the dams would involve the flooding of 6,000 hectares of Patagonian terrain, leading to the loss of numerous unique ecosystems and irreversible damage to the region’s breathtaking scenery. With aesthetic values ruined, HidroAysén’s detractors claim, the burgeoning eco-tourism industry on which many in Chilean Patagonia depend on would suffer greatly. Furthermore, the region’s diverse flora and fauna would take a deadly hit. Among the endangered species which would stand an even greater risk of extinction is the huemul, a type of deer that is one of the national symbols of Chile, appearing on its coat of arms along with the condor. The potential damage wouldn’t even end with the construction of the dams. In order to connect the complex with the rest of Chile’s national grid, several thousand kilometres of transmission lines would have to be built from Aysén up to the central cities and northern mines which are fuelling the demand for more energy projects across Chile. The proposed route of the transmission lines would lead to them trampling all over yet more national parks, unspoiled landscapes, and – perhaps most controversially of all – territories and reserves belonging to indigenous Mapuche communities. On top of all this, campaigners claimed that huge and potentially destructive mega-dam projects such as HidroAysén are not, as its backers insist, the only answer to Chile’s growing energy needs. The north of Chile, the source of much of the mining-led demand for electricity, is also home to the expanses of the Atacama Desert, arguably one of the regions with the greatest potential for solar power capacity in the world. Added to this are Chile’s vast coastlines, with the potential for the development of tidal power; its hundreds of volcanoes harbouring thus-far unexploited geothermal power; and even the prospect of smaller, “mini-hydro” generators on the country’s numerous rivers, which would avoid the worst impacts of more traditional hydroelectric power by side-stepping the need for dams and reservoirs. Faced with the unpalatable consequences of a project of this size going ahead, local opponents allied with environmental campaigning groups steadily built up a front of sustained opposition to HidroAysén, and to the initial willingness of successive governments to support the proposals. The most high-profile of these advocacy groups was surely Patagonia Sin Represas (Patagonia Without Dams), which used well-targeted campaigns to raise awareness of the potential damage to be caused by HidroAysén. It did this among both the local residents of Aysén and – crucially – the millions of Chileans living several thousands of kilometres to the north in the capital Santiago and surrounding Central Valley regions. An example of Patagonia Sin Represas’ campaign posters; presenting an image of a well-known Chilean cultural heritage – in this case Easter Island – and superimposing the image of power lines over it. The implication is that such a thing would never be allowed on Easter Island, and so it shouldn’t be allowed to ruin the Patagonian landscape. However, despite the widespread opposition to the project – with one 2011 poll suggesting that 74% of Chileans were against the dam, and anti-HidroAysén protests often merging with those being led by the country’s students – in May 2011 the government of then-president Sebastián Piñera gave HidroAysén the green light. When the Supreme Court also ruled against an appeal from the project’s opponents the following year, it appeared that the game might be up. HidroAysén held the environmental permits to construct the dams, and was just waiting on the same official approval to be granted to the transmission lines. It was here, though, that things began to unravel for HidroAysén and its backers. Perhaps wary of public opinion, the government appeared hesitant to push through new legislation that would allow the vast networks of transmission lines that the dams would need. It began to become clear that the project had become a political hot potato, and the Piñera government gave the impression that it wanted nothing more than to kick the can down the road and wait for the next government to deal with such a complex issue. Nevertheless, in her campaign for re-election, Bachelet – who had already served one term as President from 2006 to 2010, during which time HidroAysén had come to life as a serious proposal – suggested that she was against the project, saying time and again that the plans in their present form were ‘unviable’. In a further blow for the dams’ backers, Colbún announced they were indefinitely suspending work on the environmental assessment review process, citing uncertainty in the Chilean state’s long-term energy policy and framework. Shortly after taking office in March, Bachelet’s government announced that it was invalidating the environmental permits awarded to HidroAysén under her predecessor’s government, and that a committee of legislators would give a definitive ruling on the viability of the project within 60 days. With anti-HidroAysén rhetoric continuing to come from within government ranks, during this time and ahead of this week’s ruling, campaigners were increasingly confident that the final decision would go in their favour, with activists and media outlets alike broadcasting their obituaries of HidroAysén in the days leading up to the historical resolution. 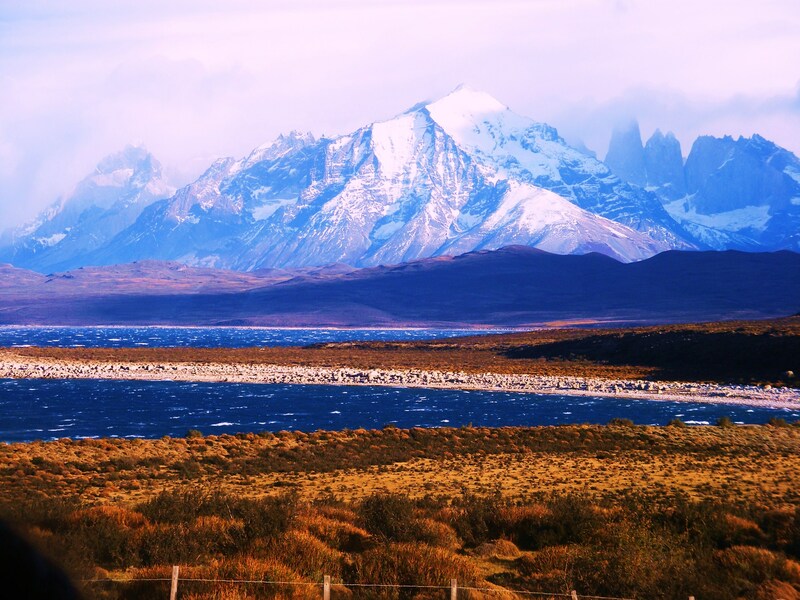 Chile’s Patagonia is renowned for its spectacular scenery. Pictured here is the Torres del Paine national park, a popular destination for tourists and hikers. Nevertheless, for all that the latest developments can rightly be interpreted as a triumph for environmental and social activists, the wider debate at hand remains unresolved. For starters, it is widely expected that HidroAysén will take the case through the many legal avenues on offer, from national to – potentially – supranational courts. More importantly, however, the looming question of how Chile can meet its growing energy needs still has to be answered. For all the environmental merits of preventing the potential destruction of the Patagonian countryside by HidroAysén’s plans, what the project’s rejection also means is that the government now has even less time to ensure that the country’s power sector can meet the rising demand. Moreover, the onus is on for it to achieve this in a sustainable fashion, without resorting to the highly polluting oil and coal plants which also leave Chile vulnerable to fluctuating prices on regional and global fossil fuel markets. The Piñera administration succeeded in passing legislation that committed Chile to increasing the contribution of non-conventional renewable sources to the national energy mix, from the current 5-6% to around 25% by 2025, and recently these efforts have begun to pick up steam with Chile leading the way in sectors such as solar photovoltaic (PV) power. However, experts suggest that Chile could and should go much further than the 25% target, especially if it is indeed to double or treble its overall power generation over the coming years, while sticking to its international obligations regarding carbon emission reduction. Added to all this are other questions left open to urgent debate, such as the long-term state of Chile’s environmental institutional framework, and the issue of how such an unpopular and apparently ‘unviable’ project was allowed to reach this advanced a stage in its planning. Furthermore, the jobs, money and economic development that HidroAysén had promised would flood into the Aysén region may well be hard to come by via other means. This leaves a question mark over future opportunities for increased prosperity for Aysén’s inhabitants, who have long felt ignored by the central government all the way up in Santiago. Not all locals were against the dams, after all. Now that HidroAysén’s dams have, perhaps, finally hit the wall, the Chilean government needs to shore up its support for renewable energy initiatives, while ensuring that as long as the wild rivers of Patagonia are still allowed to flow freely, the country’s electricity supplies are able to do so as well.